How much is Richard Rawlings Worth? 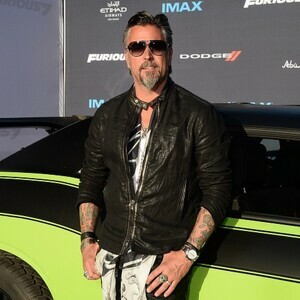 Richard Rawlings net worth: Richard Rawlings is an American car builder, cross-country racer, and reality television personality who has a net worth of $15 million dollars. Born in Fort Worth, Texas, Richard Rawlings began building cars and going to car shows with his father when he was a young child. He began buying his own cars when he was 14. His first car was a 1974 green Mercury Comet. By the time he was actually old enough to drive, Richard had already bought and sold several cars. In high school he drove a 1977 Bandit Trans Am. After high school, Rawlings set out to work various jobs that would help support his passion for cars. He went on to work as a firefighter, paramedic, police officer, and finally, owner and operator of his own printing and advertising company. 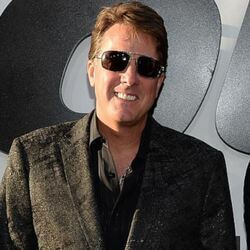 He sold his printing company in order to launch Gas Monkey Garage in Dallas, Texas. Gas Monkey Garage has since become a world-famous hot rod shop with clients coming from all over the world. 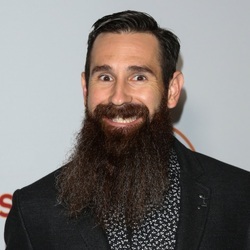 Gas Monkey, and the various cars that Rawlings finds, buys, or is given to restore, are now the subject of the hit Discovery Channel series, "Fast N' Loud". The show began airing in June of 2012 and has since produced four seasons. The show features Mr. Rawlings, and his co-workers, Aaron Kaufman, KC Mathieu, and Scot McMillan as they seek out rare automobiles and restore them for a profit. According to legend, in the 1990s Richard took a bullet when he came across a carjacker attempting to steal his 1965 Mustang 2+2. Richard Rawlings is also a passionate transcontinental racer. He has participated in several rallies. He once held the world record for fastest time in the Cannonball Run, until his score was eclipsed in 2013. To break that record, which had stood since 1979, Rawlings traveled 2811 miles from New York to Los Angeles in 31 hours and 59 minutes. That equates to an average driving speed of 87.6 MPH. He has also won both the Gumball 3000 and The Bullrun an unprecedented two times a piece.